Assassin's Creed: Liberation takes place in New Orleans, and our preview demo took place specifically in 1765. 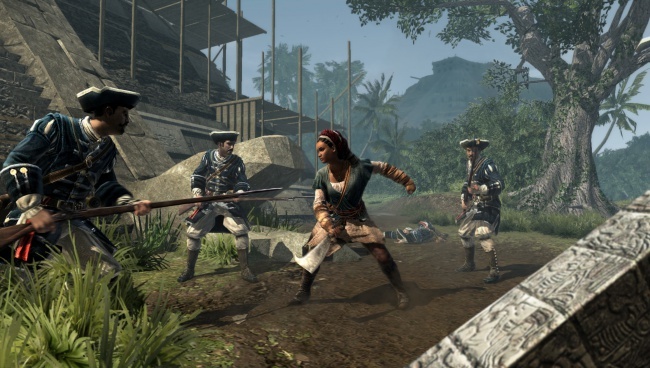 We play a female Assassin named Aveline and the demo mostly concerned French colonials seeking to throw off the yoke of their Spanish oppressors, mostly by killing Spaniards in the way Assassins tend to handle most of their problems. I began in the swamps of the Bayou and took a mission to clear out a Spanish fort, using traditional Assassin's Creed stealth kills and parkour movement to silently take out the guards, climb the fort walls, and murder the officer commanding the fort. Aveline could change costumes to equip different kinds of gear and throw off pursuers. In one quest I changed into a slave persona to help start a riot, for instance, but being in the wrong costume at the wrong time gated me on a different quest. I'd knocked a few wooden water towers into the streets below to force a carriage carrying the Spanish governor and his guards into a particular city square, and planted a keg of gunpowder to kill them all. The slave outfit doesn't come equipped with a firearm, however, so I wasn't able to finish the quest without finding a place to slip into my Assassin apparel. Aveline has a multi-kill system where she can temporary slow down the action and mark targets for immediate assassination. 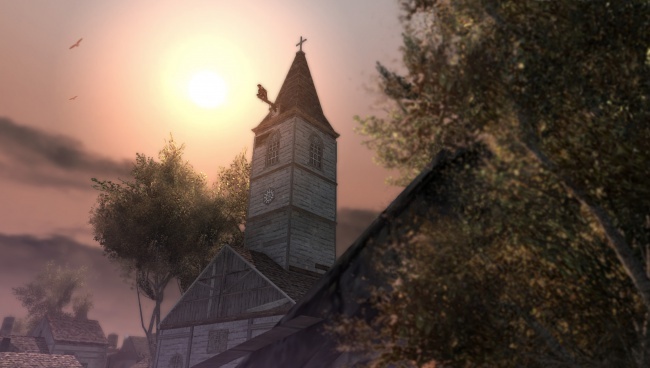 Once the marks are assigned, time returns to its normal pace and Aveline carries out the orders. It's a good change from the traditional dodge-and-counter combat that Assassins use to handle fights when they're outnumbered. Liberation doesn't take much advantage of the Vita's touch screen, using it largely for tasks like navigating the mini-map and inventory. During the theft of a carriage filled with gunpowder tapping on the screen spurred the horses to go faster while holding down on the screen slowed them down. The one use of the touchscreen that stuck out was when I had to open a letter. I put my thumb on the front touchscreen and my index finger on the rear touchscreen and slid them across the screens together as if I was ripping open the envelope. From what I experienced Assassin's Creed: Liberation has enough differences from Assassin's Creed III to make it feel less like a supplement to the console release and more like a truly parallel experience. It's due for release on October 30th.